Natural gemstone rings with gold or silver band. 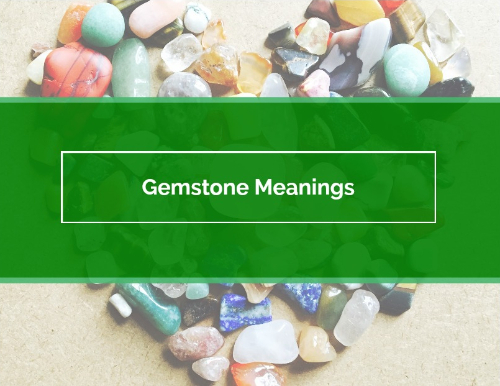 Learn more about gemstone meanings and their metaphysical healing benefits on our ABOUT GEMS page. This intriguing gemstone supports, inspires, and motivates you toward personal triumph. This is a grounding and protecting gemstone that encourages you to make good use of mental talent and physical ability. Black Crackle Agate eliminates fear and doubt, and encourages strength of will. Black Crackle Agate urges emotional stability and encourages confidence. 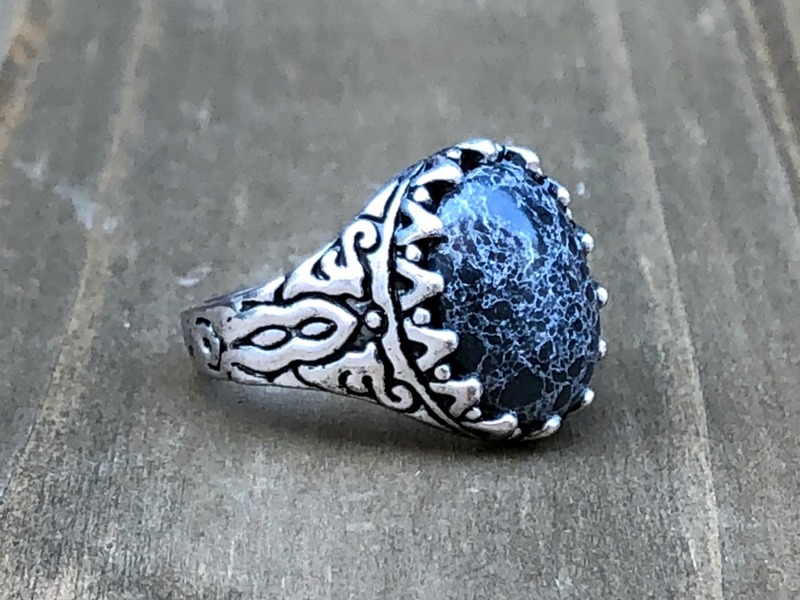 This is a grounding stone that strengthens the body and enables a connection to the earth. Use Black Crackle Agate to attract good fortune and wealth. 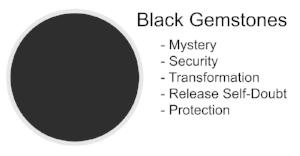 This gemstone stimulates inner-strength, stability, focus, and concentration. Black Crackle Agate keeps you centered. Bones, Joints, Menopause, Tumors, Reproductive System, and Childbirth.